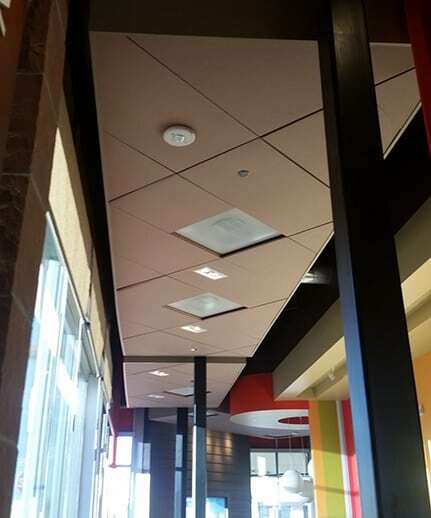 Acoustical Ceilings - Quality Carpentry Services, Inc.
Quality Carpentry has provided and installed some of the most decorative ceilings and ceiling elements in Colorado. 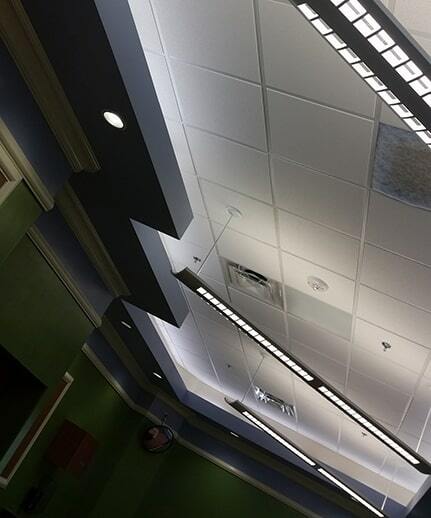 From standard and high NRC systems to metal pan ceilings and decorative panels. We have built lasting relationships with all the major manufacturer’s suppliers in town. Whether your specifications call for USG, Armstrong or CertainTeed, we have the contacts to provide specialized quotes designed specifically for your project. If your specification is open, we can shop all manufacturers to find the most appealing and cost-effective products to highlight your project. We have an extensive library of data sheets and product information including samples that will help you sell your client the perfect ceiling. © 2019	Quality Carpentry Services, Inc. - All rights reserved.